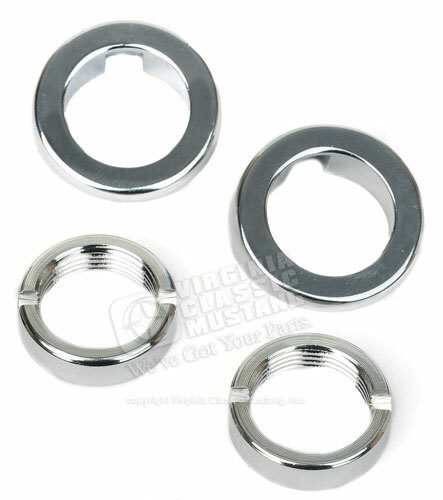 1964 1/2 and 1965 Mustang Windshield Wiper Chrome Bezels and Nuts. Set of 2 bezels and 2 nuts. This set will do one car. They feature super quality triple chrome plating. These Wiper Bezels and Nuts were installed on all 64 1/2-65 Mustangs that had the threaded wiper arm shafts through about March or April 1965 production.